Anniversary supplies for all the milestone anniversary celebrations. Banners and confetti, anniversary cake toppers, picture frames and anniversary paper plates and napkins. Anniversaries are huge milestones that are meant to be celebrated. Whether you have hit 25, 40, or 50, look to Edmonton Wedding & Party Centre for all your anniversary party supplies. Celebrate your love in style with Edmonton Wedding & Party Centre’s extensive collection of anniversary plates and napkins. 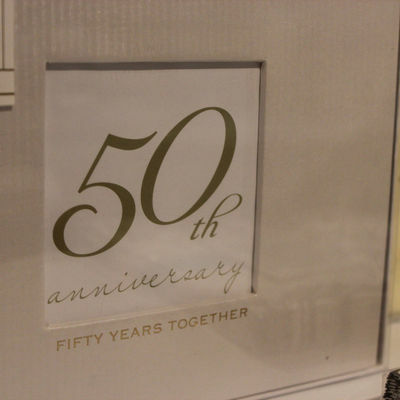 Happy Anniversary banners are available in both gold and silver, making them a perfect and versatile choice for any anniversary party. 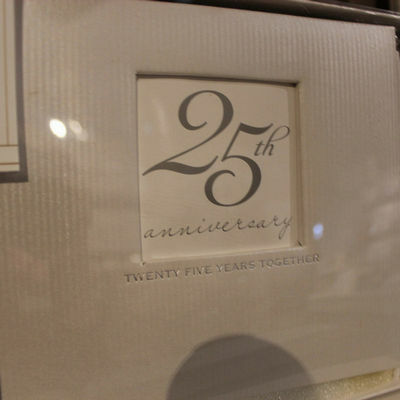 Frame those picture perfect moments with anniversary themed photo frames. Shop our selection at 6010 99 Street today. A celebration as big as an anniversary deserves a cake! Top your cake off with one of our specialty anniversary cake toppers. 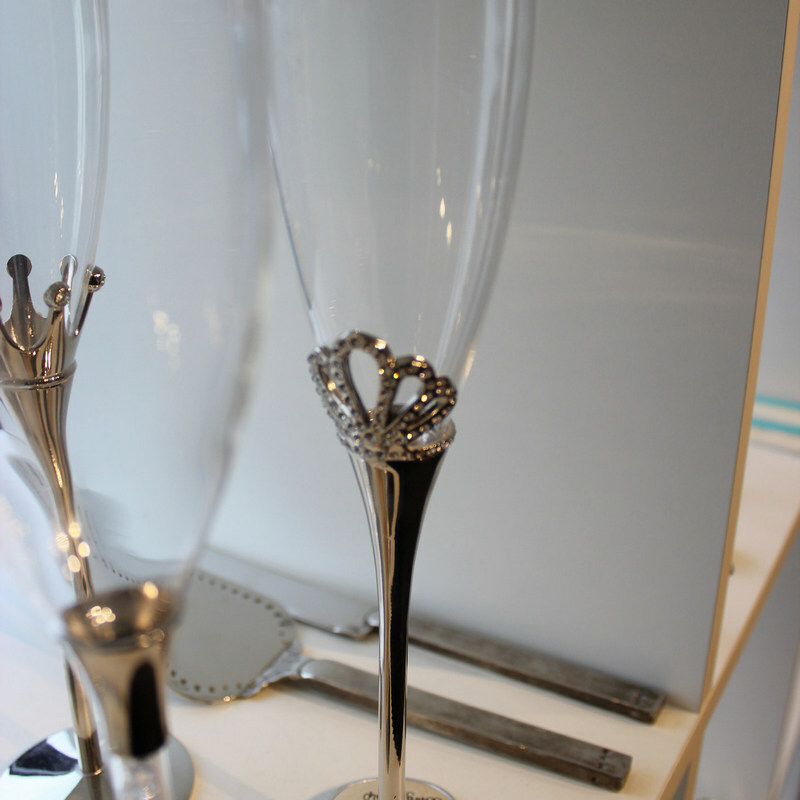 Toast to the special occasion that is an anniversary with our exquisite collection of champagne flutes. At Edmonton Wedding & Party Centre, we are pleased to offer various anniversary specific guest books, as well as numerous additional guest books perfect for a gold or silver anniversary. Shop our extensive collection of guest books in store today.